Robotic systems introduced new surgical and technical demands. Surgical flow disruptions are critical for maintaining operating room (OR) teamwork and patient safety. 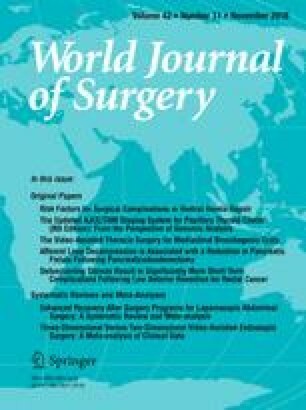 Specifically for robotic surgery, effects of intra-operative disruptive events for OR professionals’ workload, stress, and performance have not been investigated yet. This study aimed to identify flow disruptions and assess their association with mental workload and performance during robotic-assisted surgery. Structured expert-observations to identify different disruption types during 40 robotic-assisted radical prostatectomies were conducted. Additionally, 216 postoperative reports on mental workload (mental demands, situational stress, and distractions) and performance of all OR professionals were collected. On average 15.8 flow disruptions per hour were observed with the highest rate after abdominal insufflation and before console time. People entering the OR caused most flow disruptions. Disruptions due to equipment showed the highest severity of interruption. Workload significantly correlated with severity of disruptions due to coordination and communication. Flow disruptions occur frequently and are associated with increased workload. Therefore, strategies are needed to manage disruptions to maintain OR teamwork and safety during robotic-assisted surgery. The online version of this article ( https://doi.org/10.1007/s00268-018-4689-4) contains supplementary material, which is available to authorized users. We thank all surgeons, nurses and anesthetists for their participation. The study was supported by the Munich Centre for Health Sciences (MC-Health) and the Bavarian Research Alliance (BAYFOR).